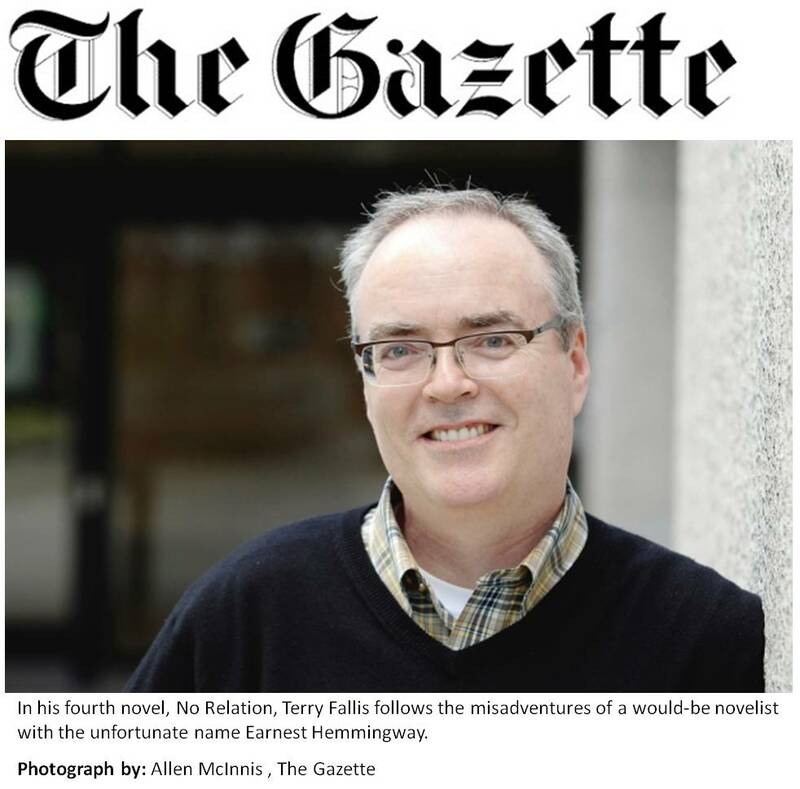 MONTREAL — Terry Fallis is fast becoming a master of fiction writing. But the Canadian author’s life story would read as even more far-fetched than the wildest fiction he has penned. Fallis, a Torontonian, is actually a mechanical/biomedical engineer by trade, although he never practised. Instead, he became a political strategist, having worked on the campaigns and legislative staffs of Jean Chrétien, Jean Lapierre and Michael Ignatieff. Then he left politics to co-found Thornley Fallis, a public relations and social/digital media agency. Then ennui set in. So he began writing a blog and doing a podcast by night and on weekends. Out of this came Fallis’s first novel, The Best Laid Plans, about the angst of a burned-out strategist who figured his only out from politics would be to manage the career of a seemingly unelectable candidate. And, natch, even the best-laid plans don’t always pan out. Fallis was unable to lure a publisher into releasing his satire on the Canadian political system. So he published the opus himself. And go figure: Fallis went on to win the literary lottery. Against all odds for a self-published novel, The Best Laid Plans snagged the Stephen Leacock Medal for Humour in 2008, was republished by McClelland & Stewart, was the 2011 winner of CBC’s Canada Reads, was transformed into a six-part CBC TV series this year, and is slated to become a musical on the Toronto stage. Fallis proceeded to write The High Road and Up and Down, both finalists for the Leacock award. And his fourth novel, No Relation, has just been released. Once again in No Relation, Fallis employs his understated whimsy and sense for irony, in a hilarious chronicle about a hard-luck fellow who loses his wallet, his copywriting job and his girlfriend one fateful day. Though he wants to become a novelist, the young man is getting pressure from his father to help run the family’s underwear business. On top of everything else, the fellow is forever haunted by his name: Earnest Hemmingway. A hard name to live up to for a wannabe writer. It matters not that he is actually Earnest Hemmingway IV and that EH I was born four years before the literary lion who was Ernest Hemingway. To be fair, EH I was also quite the pioneer: a cross-stitching underwear icon who is reputed to have put the wedge in wedgie. To kill time between avoiding his family and the workforce, Earnest Hemmingway — or Hem, as he prefers to be called — embarks on a project to recruit others cursed with the names of the famous but who are not related to them. Hence the book’s title. And so it is that Hem hooks up with a Mario Andretti who is a terrible driver, a Mahatma Gandhi who has anger-management issues, a Marie Antoinette who has a pastry shop called Let Them Eat Cake, and a Diana Ross who is a terrific crooner, but only when she’s drunk. Hem also conscripts a Jesse Owens, Clark Kent, James Moriarty and Jacqueline Kennedy to the club. So pumped is this crew that they go on to form their own baseball squad, with Gandhi in right field and Jackie as team cheerleader. What delightful lunacy Fallis has concocted here, with a dollop of intrigue and even romance. Fallis is in a buoyant state, having just learned that No Relation is climbing the sales lists like a bullet and that it has been optioned by the same producers who turned The Best Laid Plans into a series. But unlike his Diana Ross character, he chooses to celebrate with a cola at a downtown bistro. As was the case with his other books, the seed for No Relation was sown from an actual encounter. “In 1989, I had a client meeting in downtown Toronto,” Fallis recalls. “The client was having a labour dispute, so we also met with a labour lawyer, who introduced himself as Brian Mulroney. But not the Mulroney who was Canada’s prime minister then. Fallis, 54, is abundantly aware that he has been on the kind of hot streak that is rarely played out in these increasingly difficult times on the literary front. Luck can only go so far. Talent helps. So does experience. Fallis’s days as a strategist certainly put him in an excellent position for a parody on Canadian politics. In fact, it’s somewhat surprising that he was unable to land a publishing deal for The Best Laid Plans. “The challenge was that I had written a satirical novel on Canadian politics, and every agent said: ‘Are you crazy? Why would you do that?’ Then I was checking around the bookstores and couldn’t find any Canadian political satires. “So even though I was racked with doubt, I decided to pursue it. I’m a member in good standing of the write-what-you-know school. I like to make sure I’m writing with authenticity and conviction. Still, he has no plans to give up his PR day job just yet. And that time should be coming real soon.